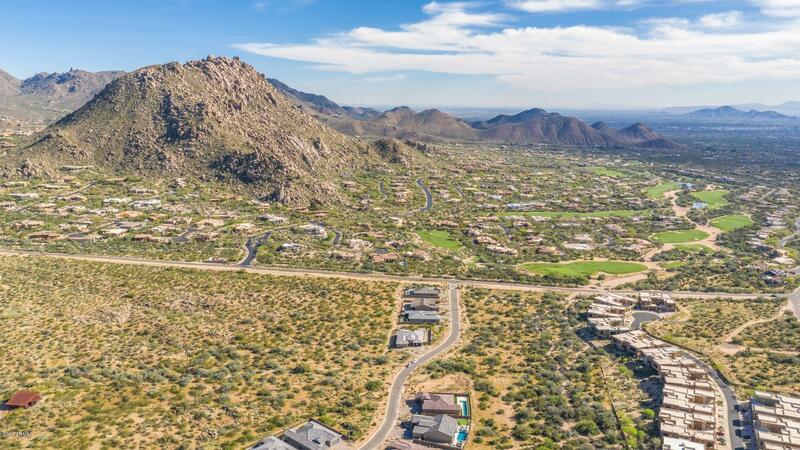 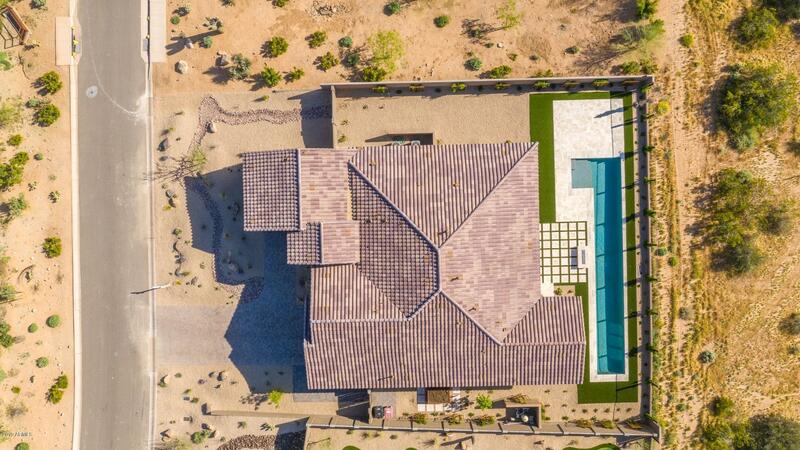 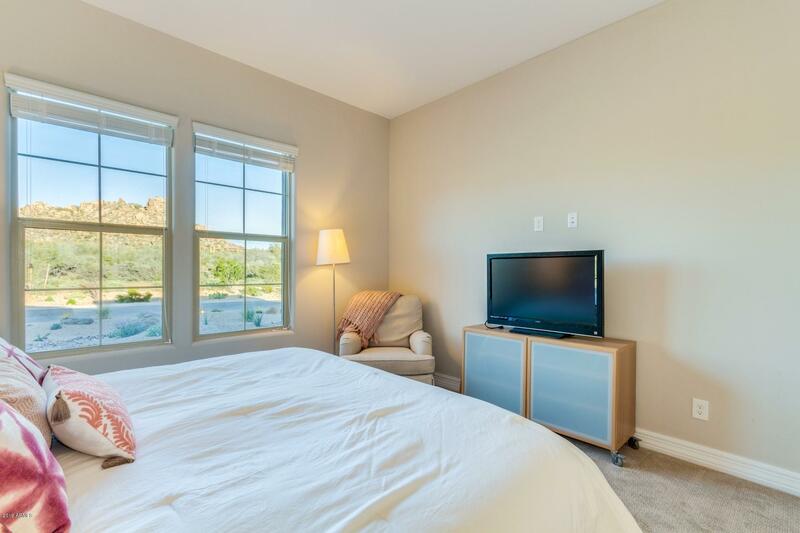 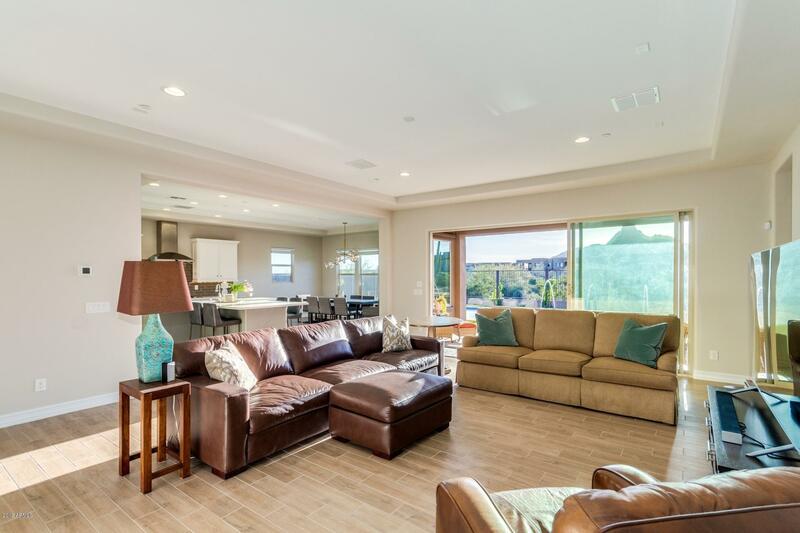 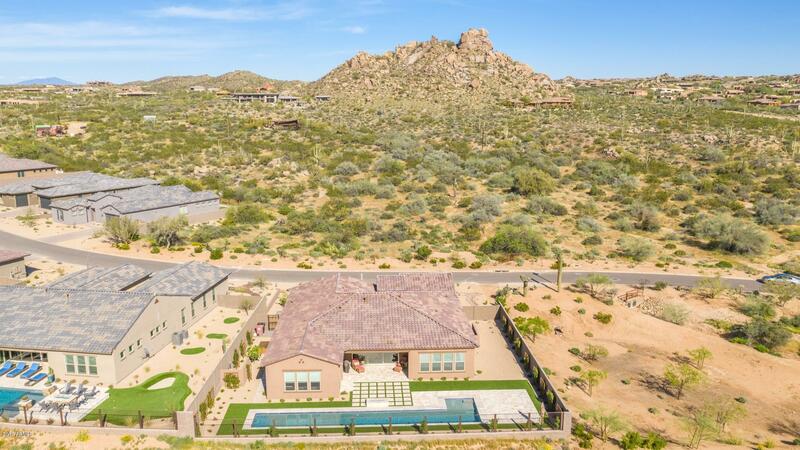 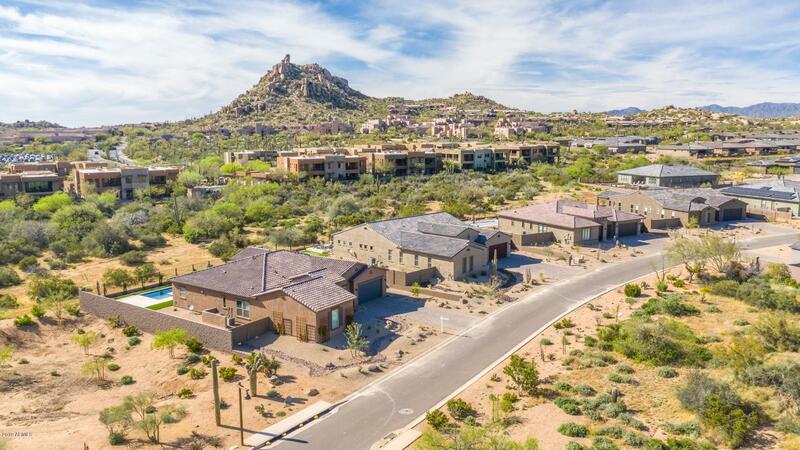 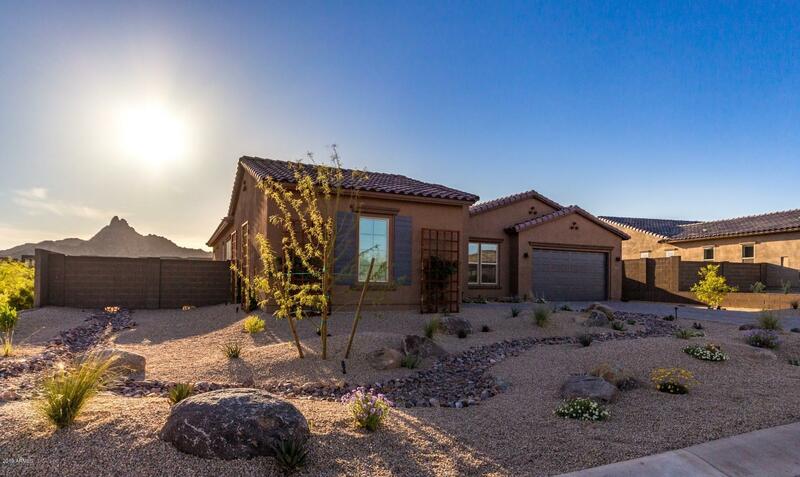 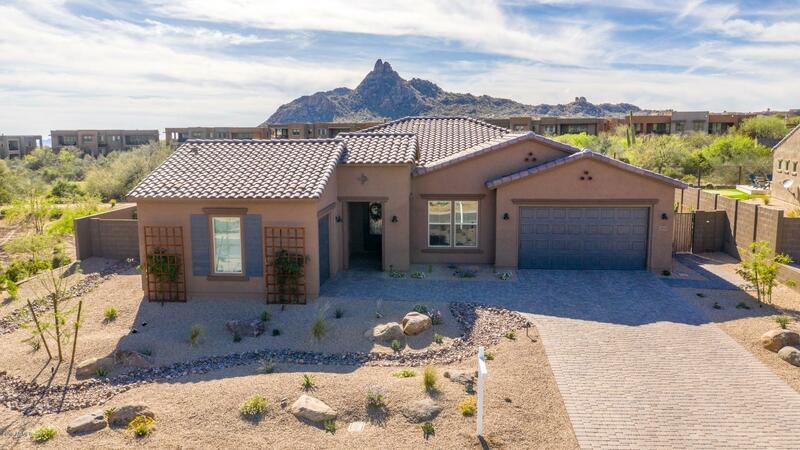 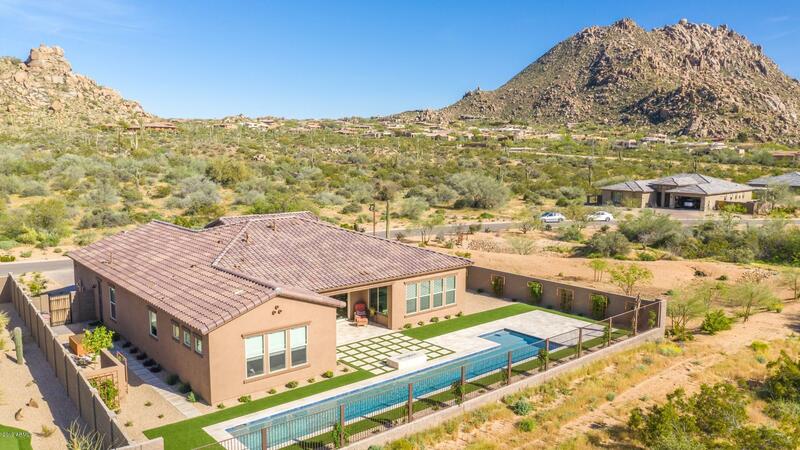 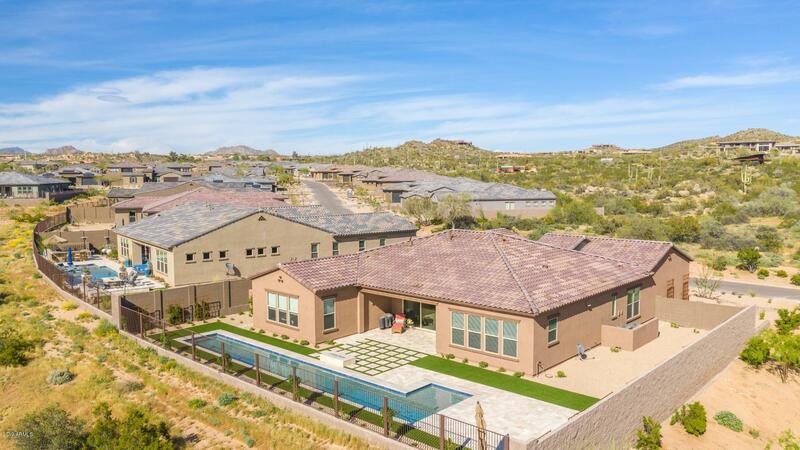  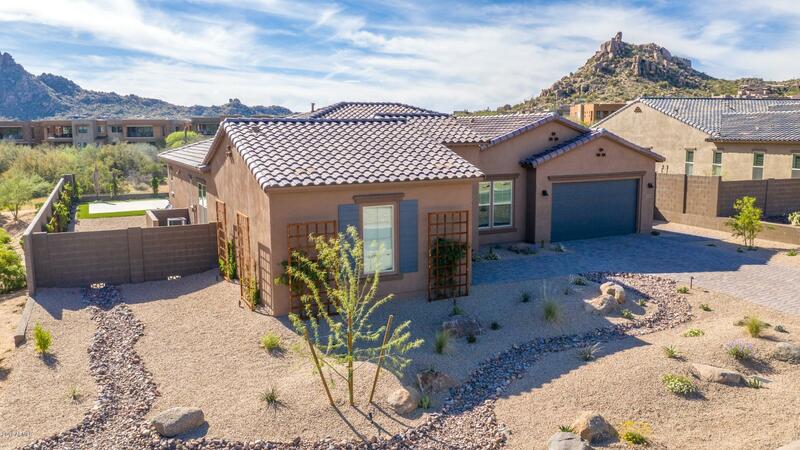 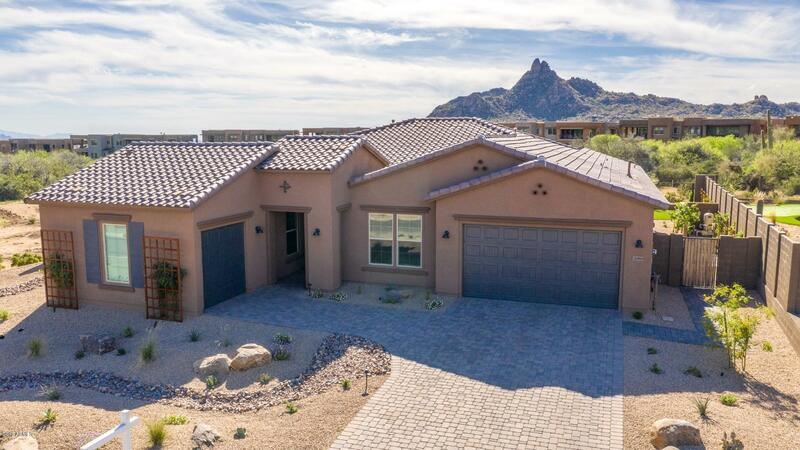 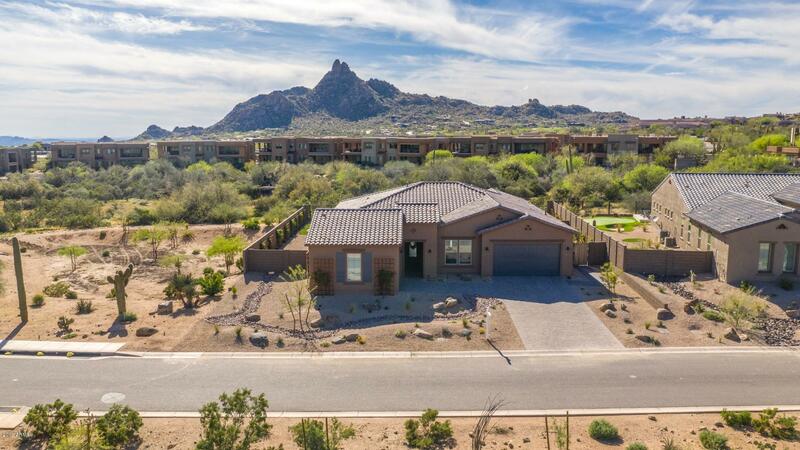 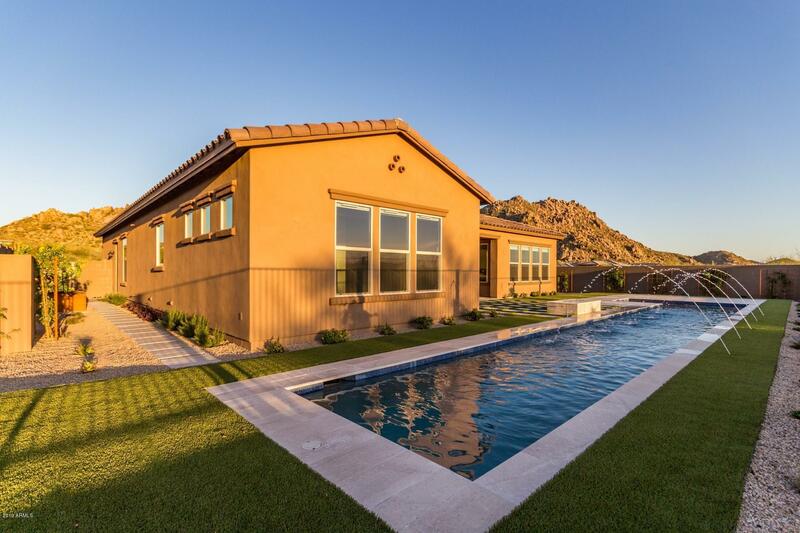 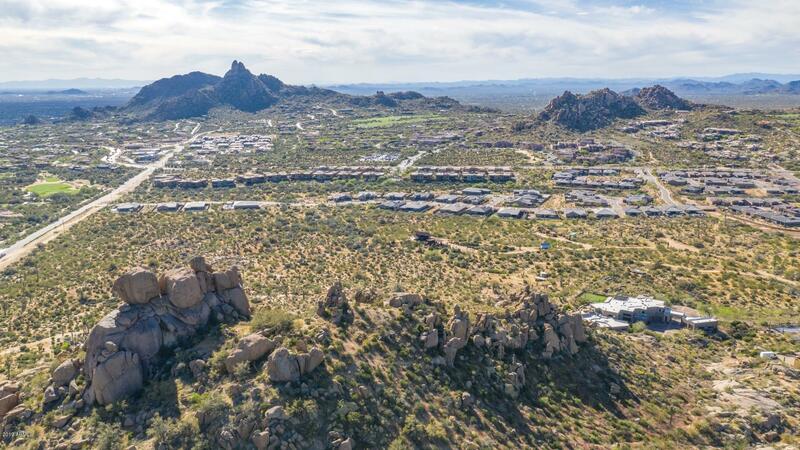 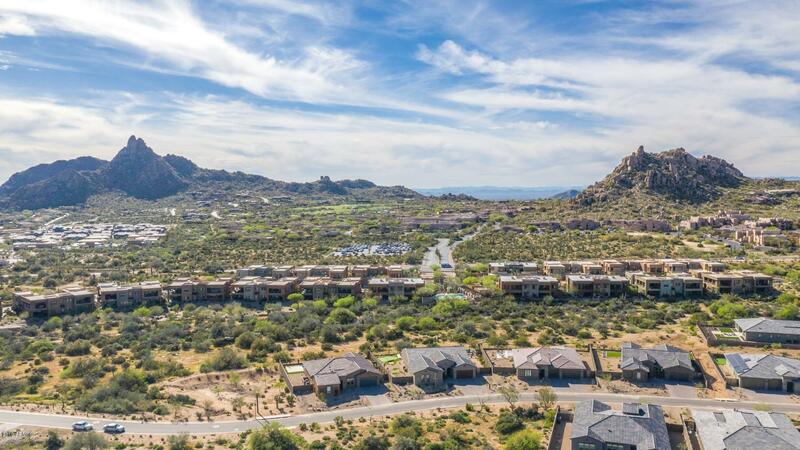 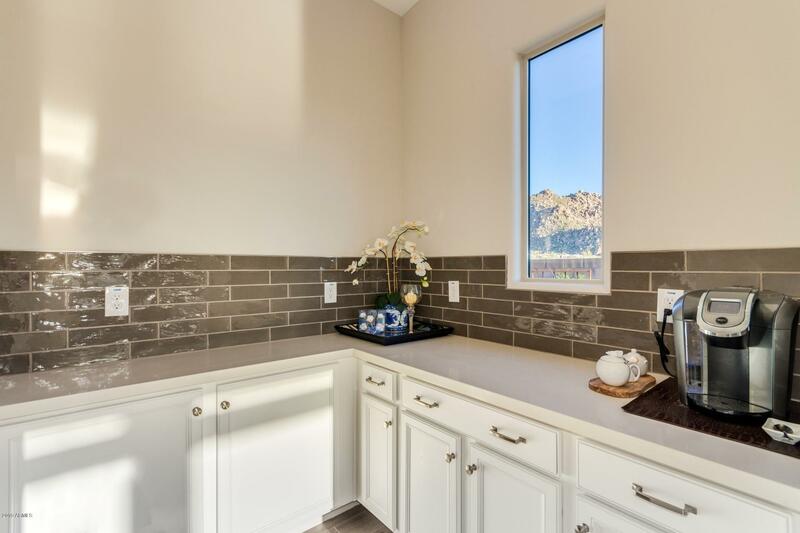 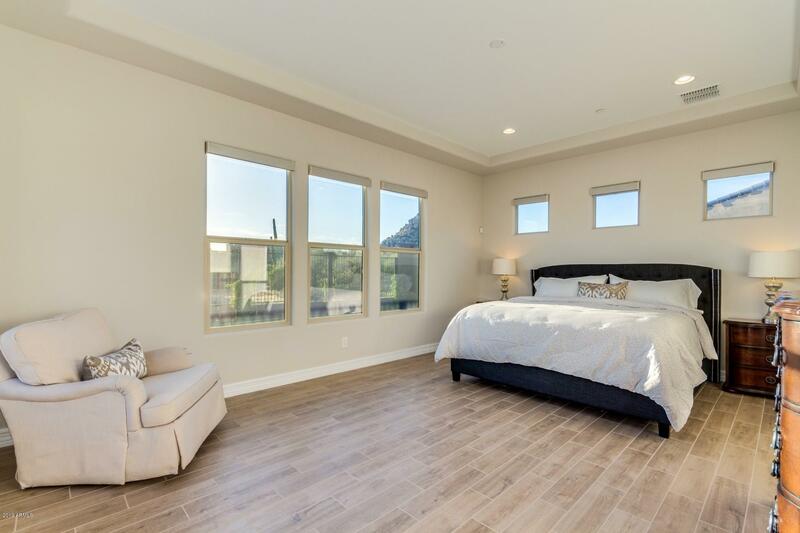 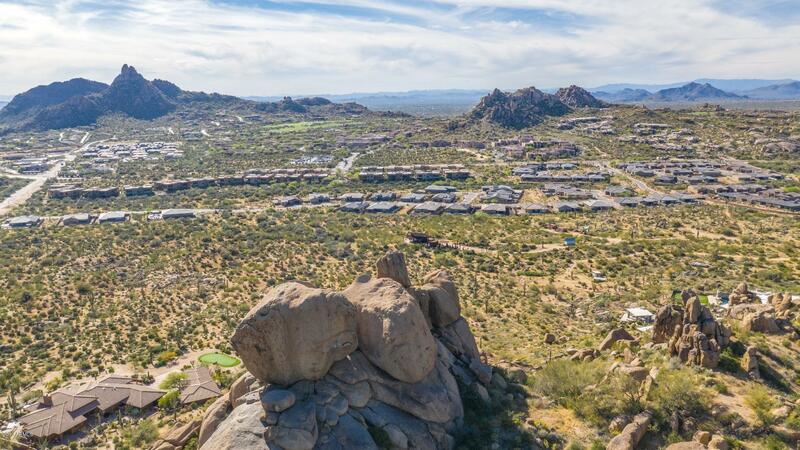 Absolutely stunning, highly-upgraded home built in 2018 with multi-million dollar views of Pinnacle Peak and surrounding mountains! 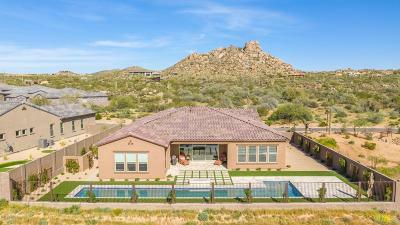 Nestled on an end lot with unobstructed views to the east, west and south, this home is your personal sanctuary. 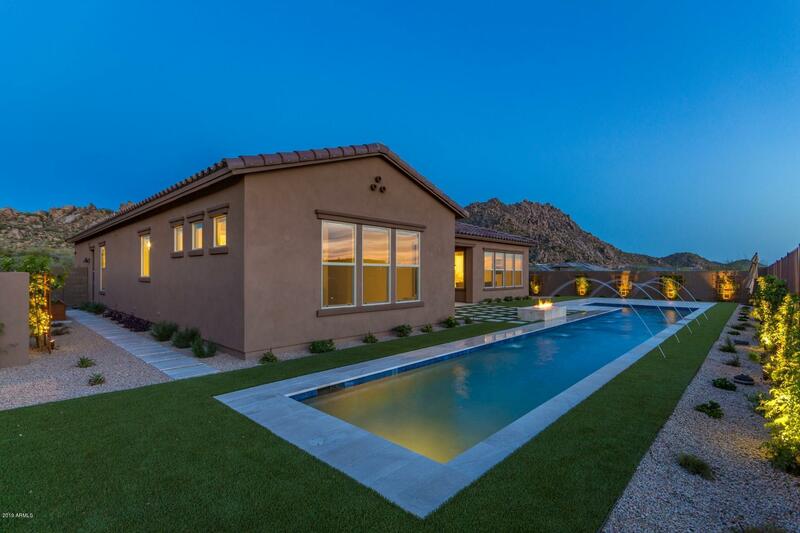 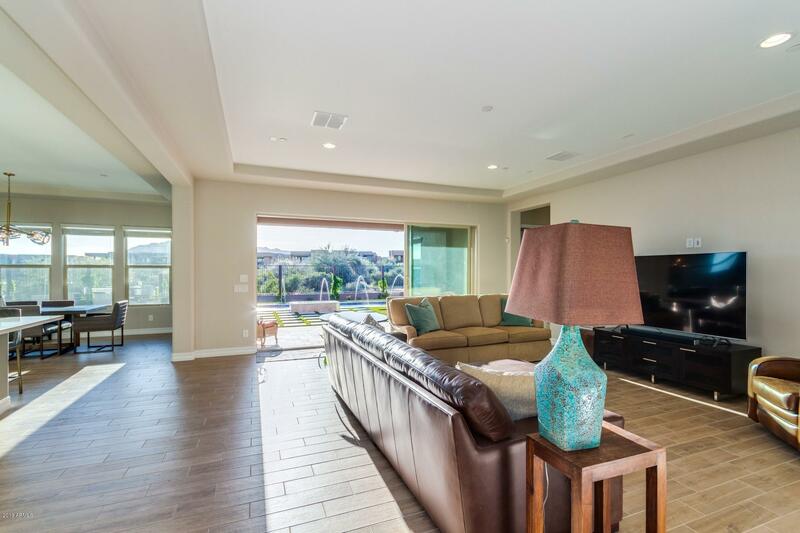 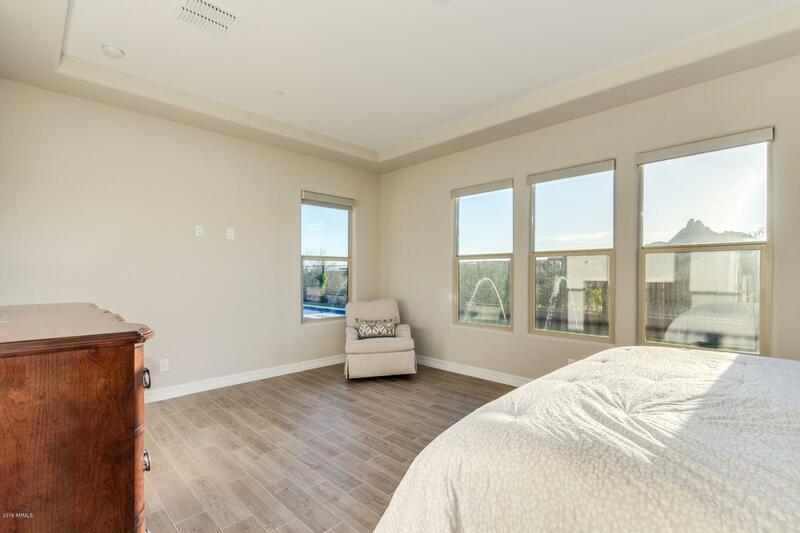 A large ''multi'' sliding glass door and window open to the outdoors, bringing the view of a large pool, water fountains, firepit and patio area into the spacious Great Room and kitchen area. 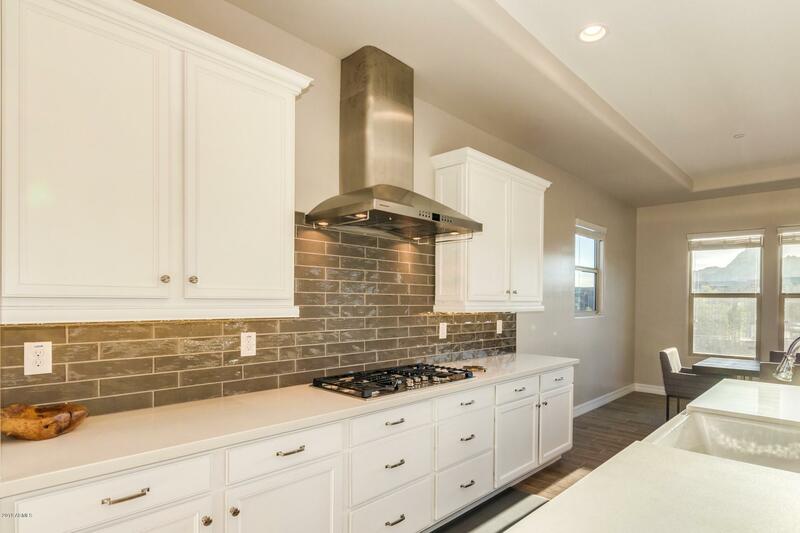 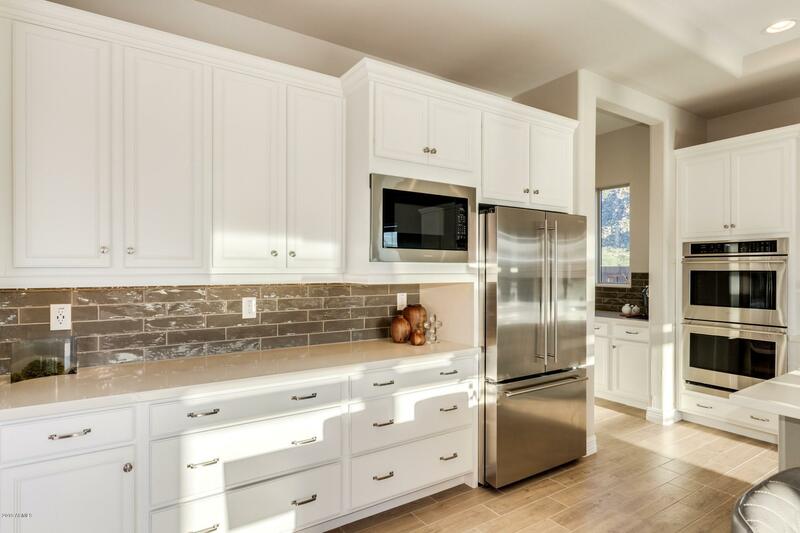 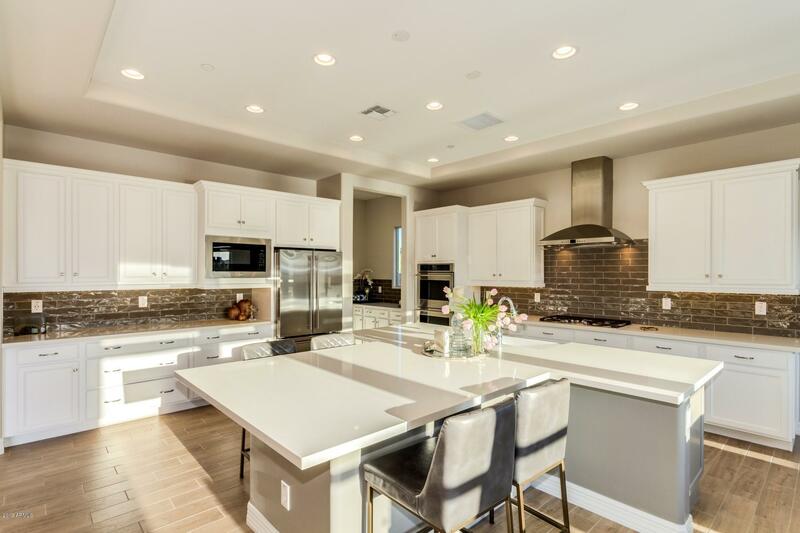 The exquisite kitchen and morning kitchen is complete with ever-popular stark white cabinetry, subway tile and stainless steel GE appliances. 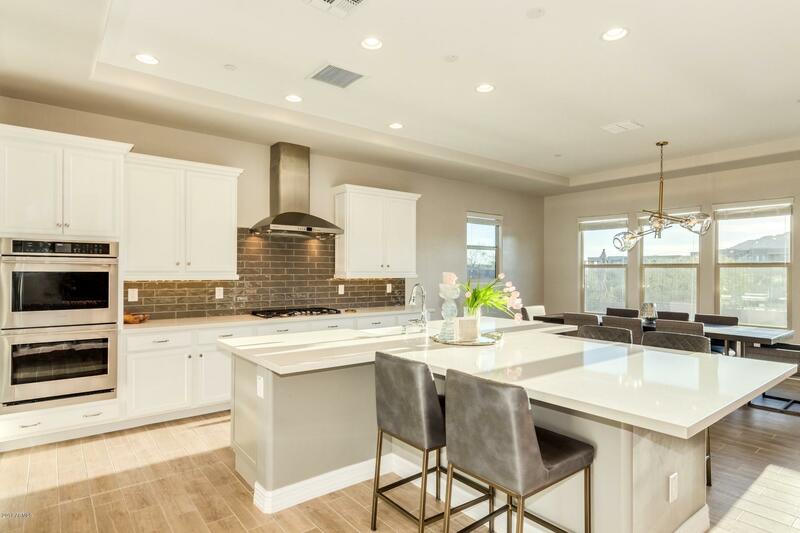 A generously sized island/bar adds the finishing touch, with a large open-air dining area great for entertaining. 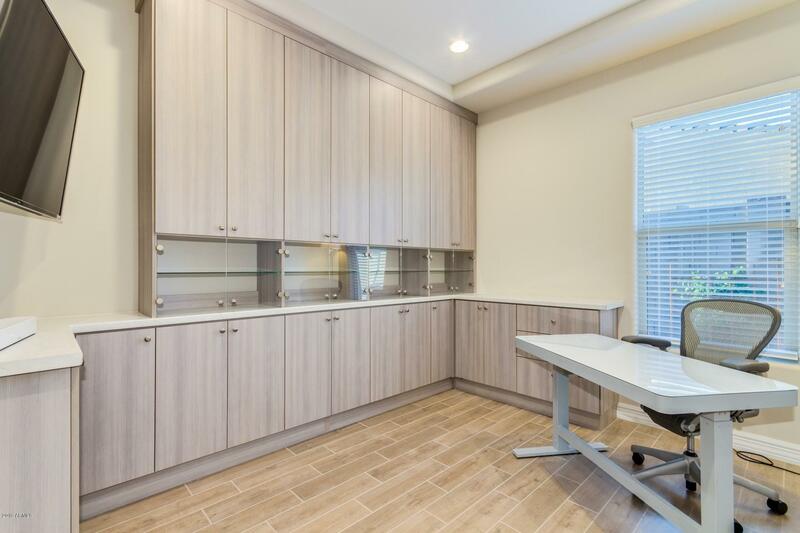 A den comprised of loads of custom cabinetry space allows you to bring the office home. 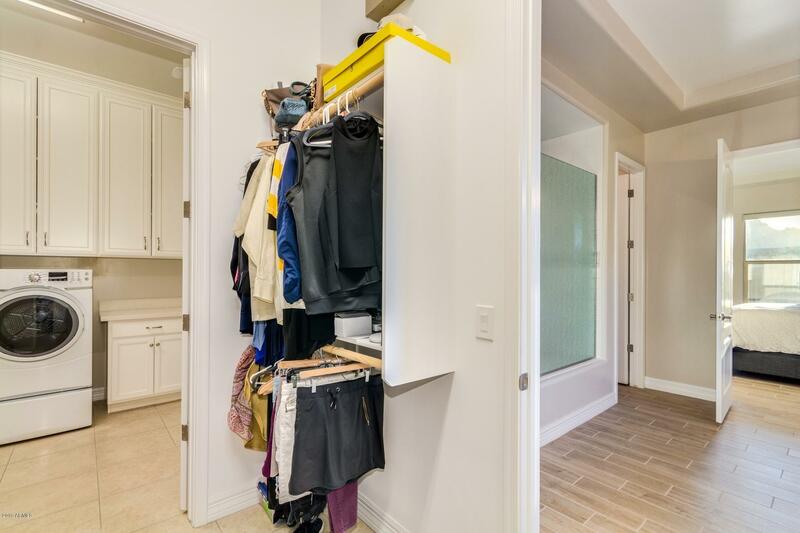 The master suite boasts a spa-like ensuite of double sinks, and an oversized walk-in closet. 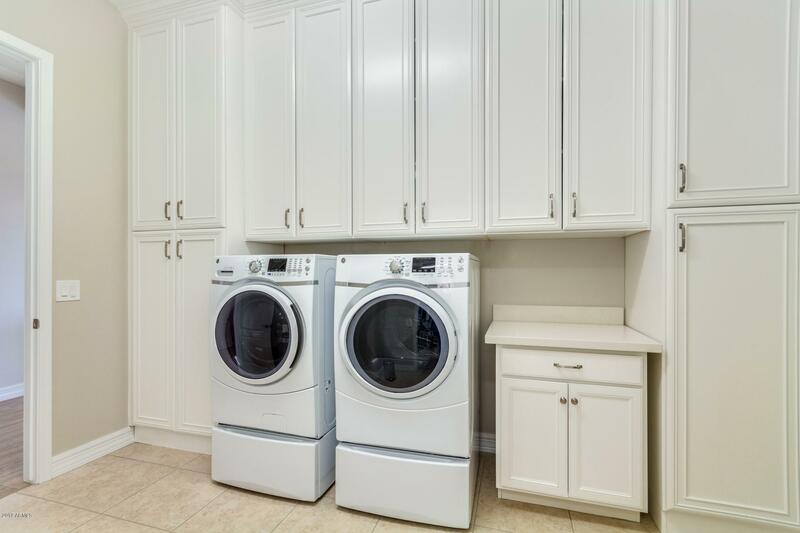 The large laundry room with tons of custom cabinetry (along with bountiful cabinetry in the garage) expands the storage space immensely. 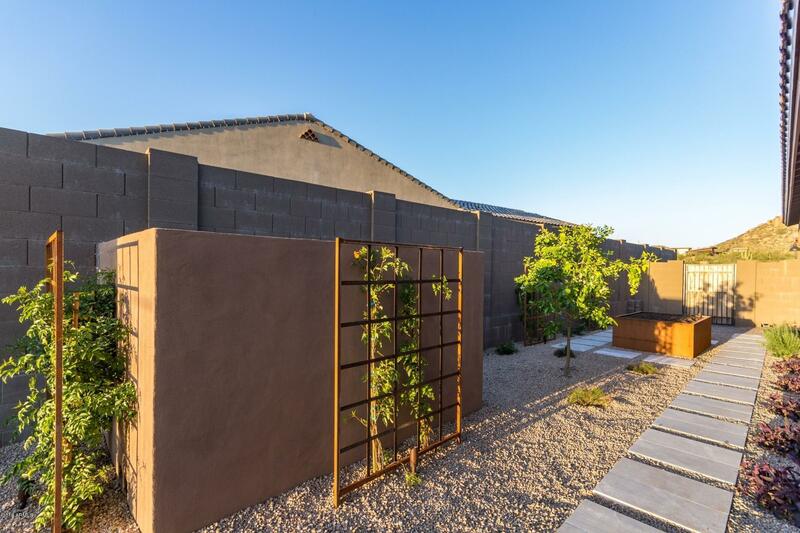 Grow your own fruit and vegetables in a raised garden box located on the north side of the property. 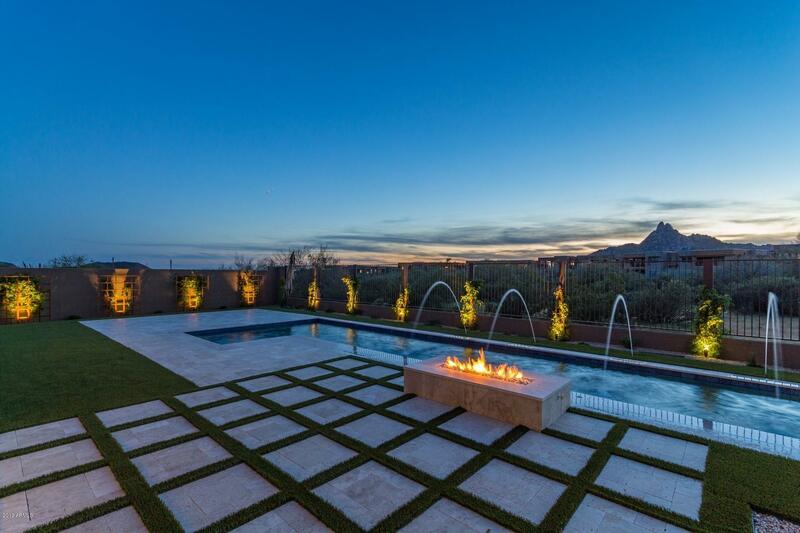 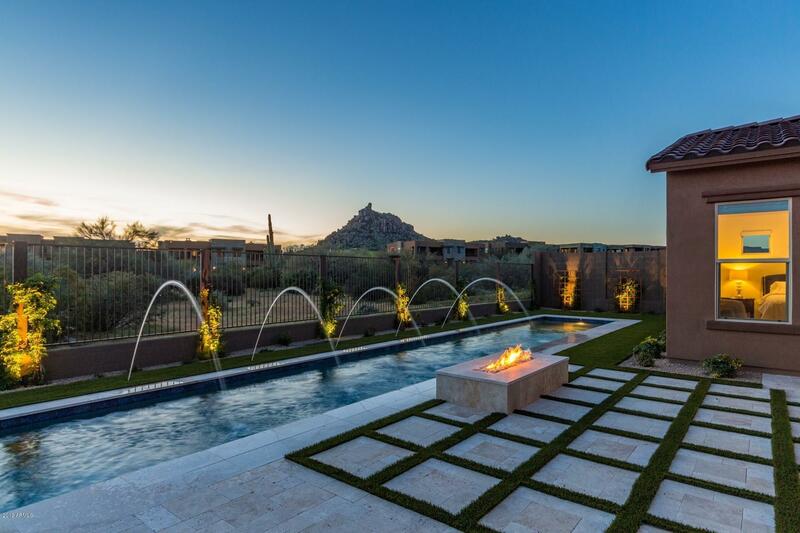 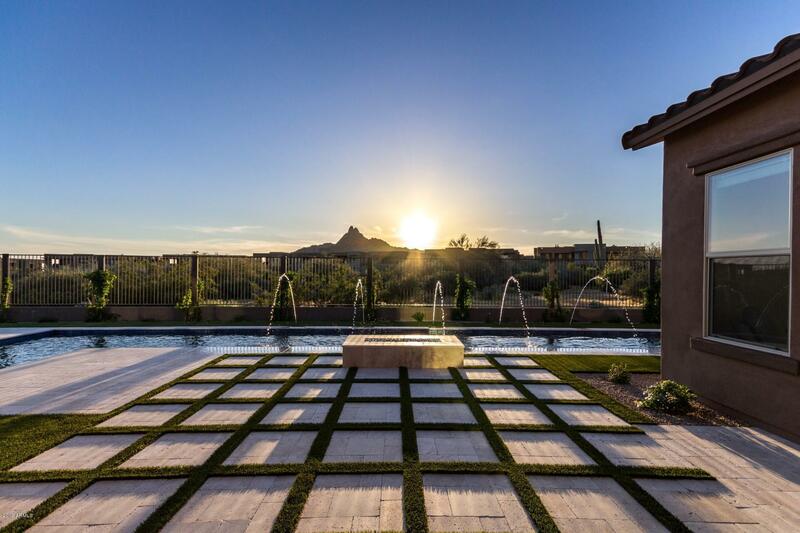 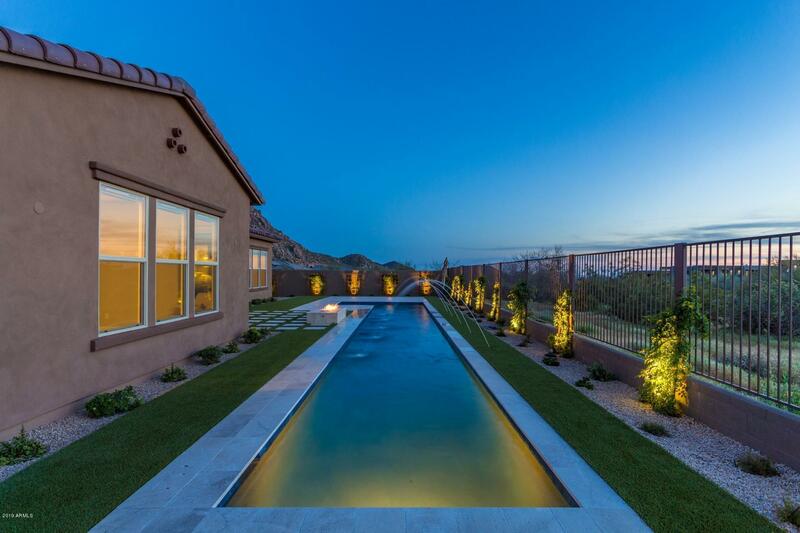 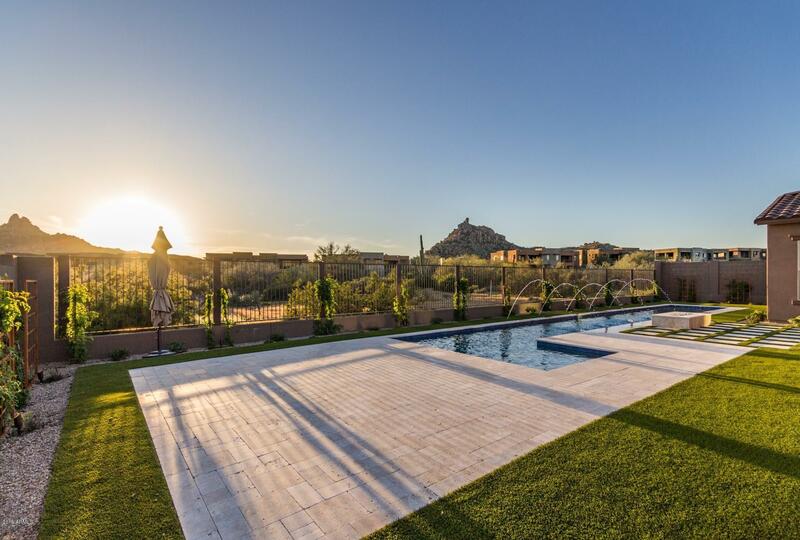 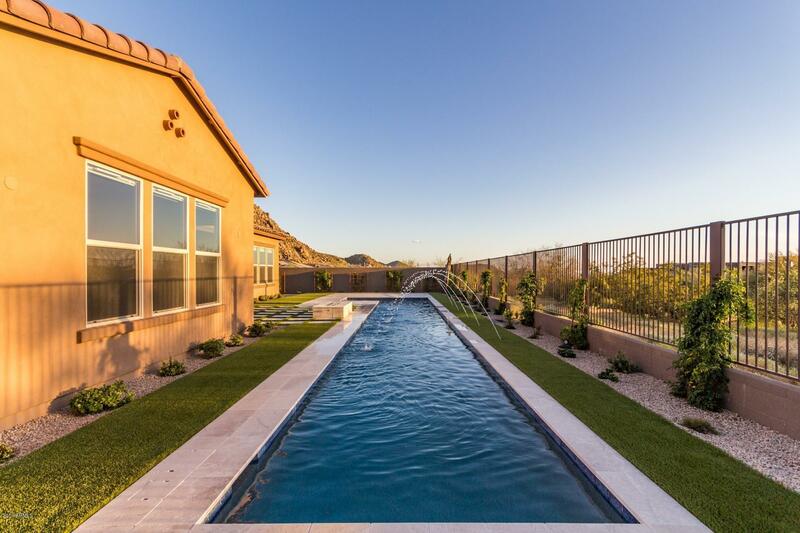 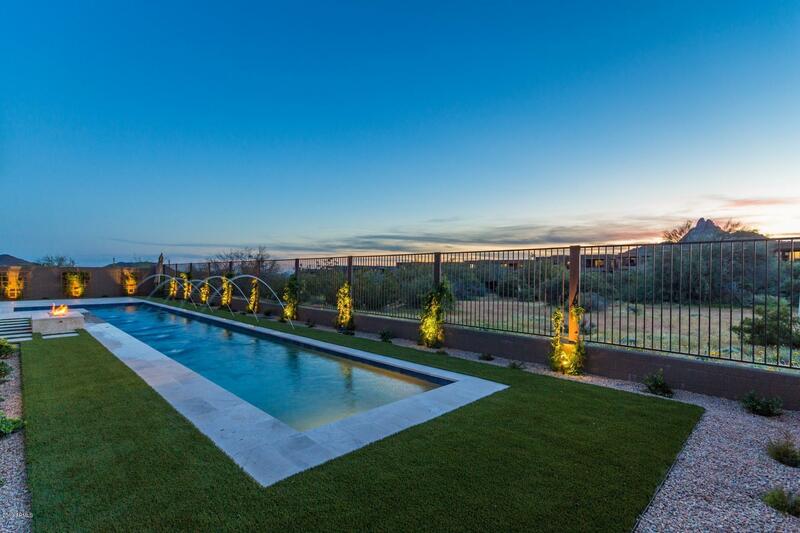 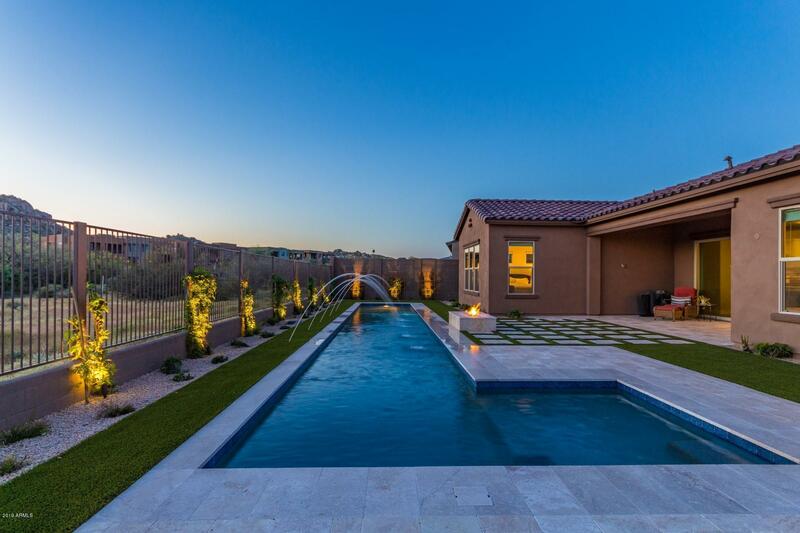 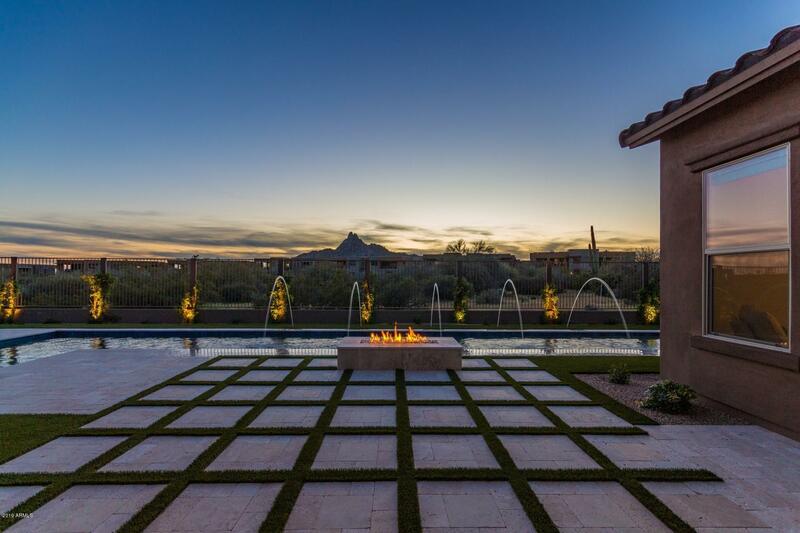 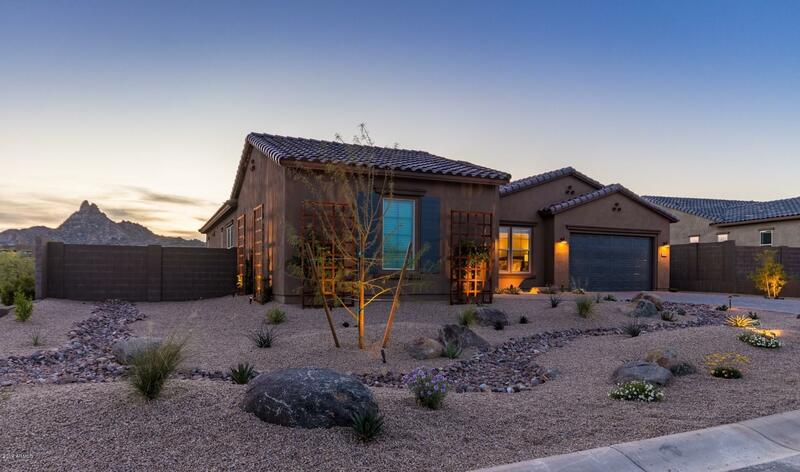 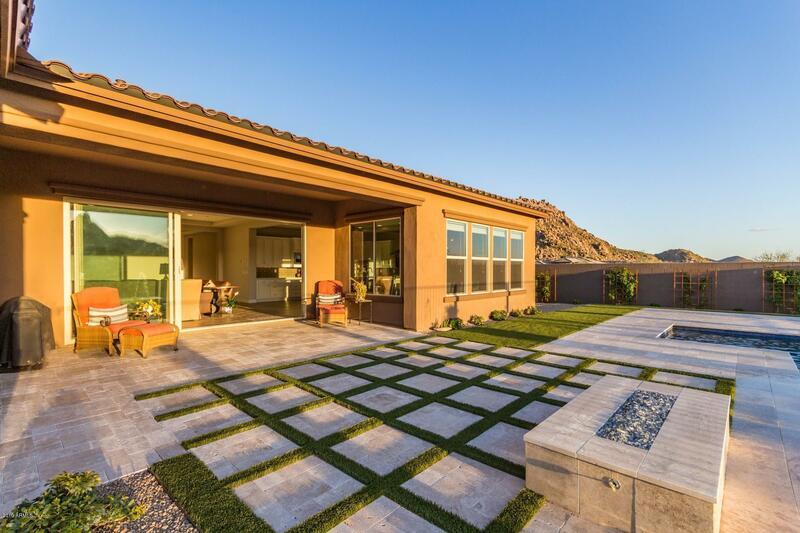 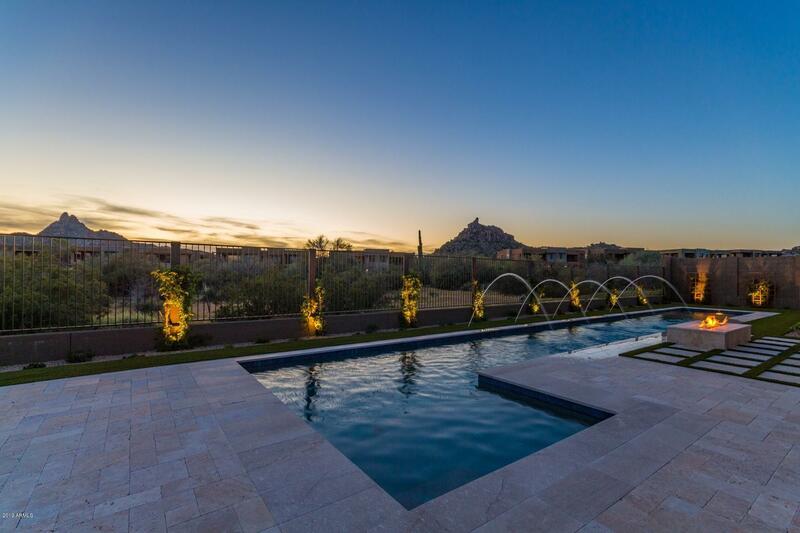 Step outside and behold the beauty of this exclusive enclave of North Scottsdale. 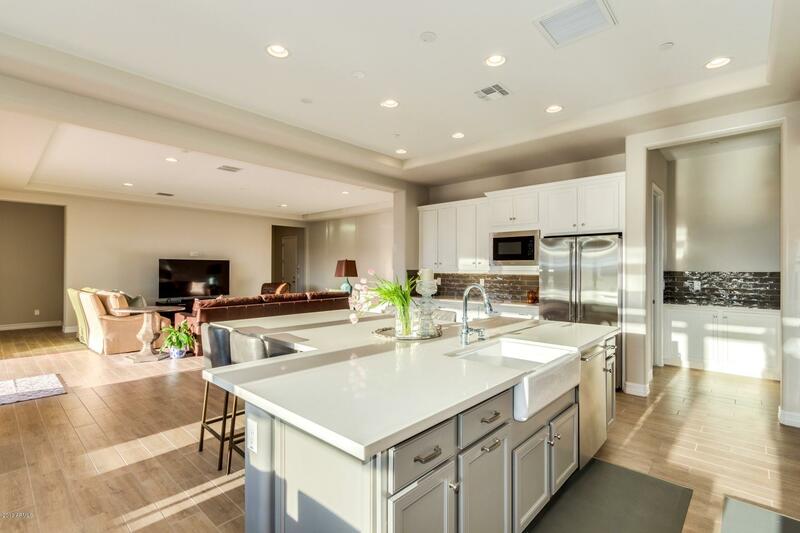 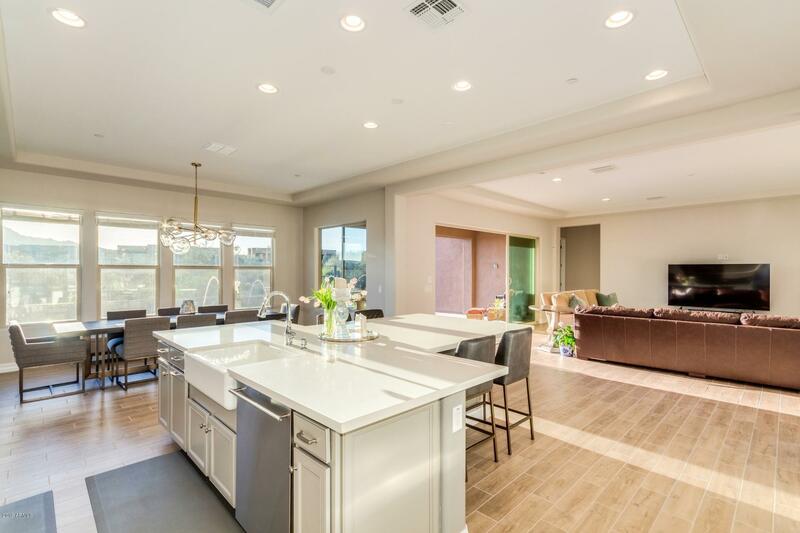 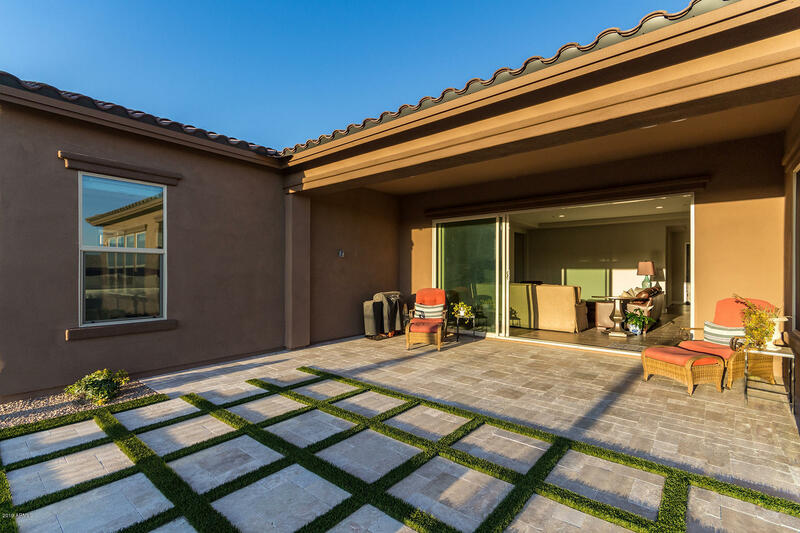 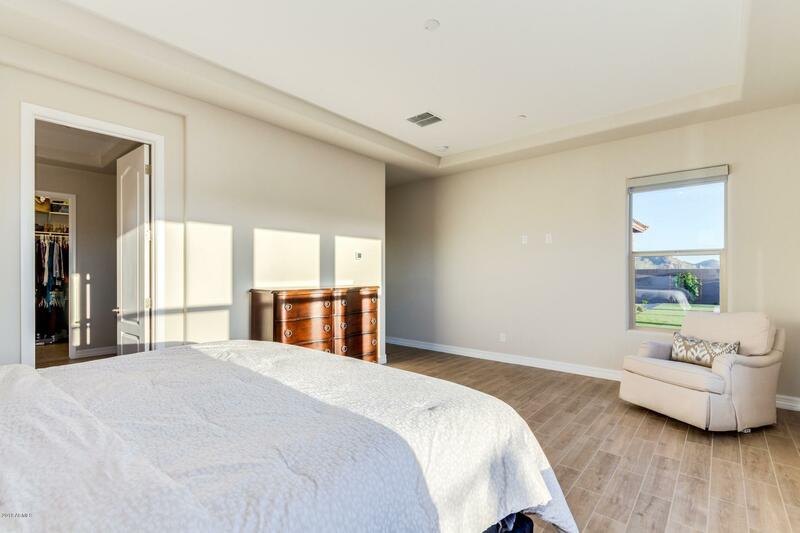 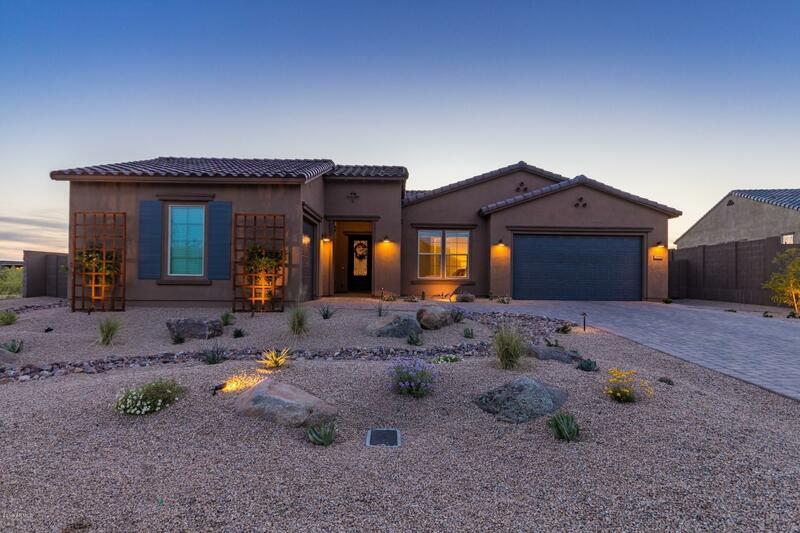 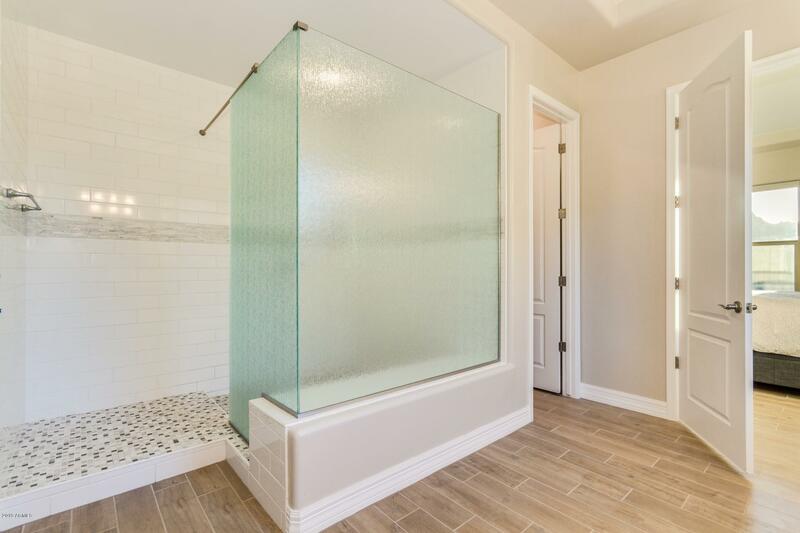 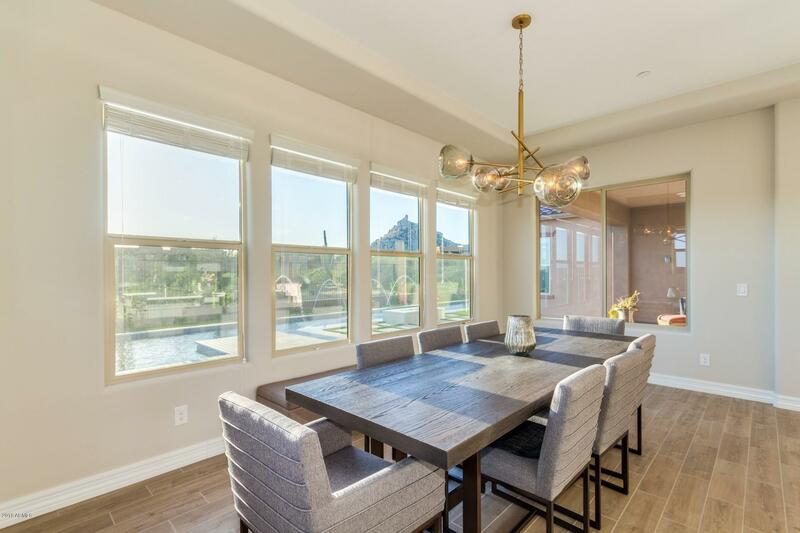 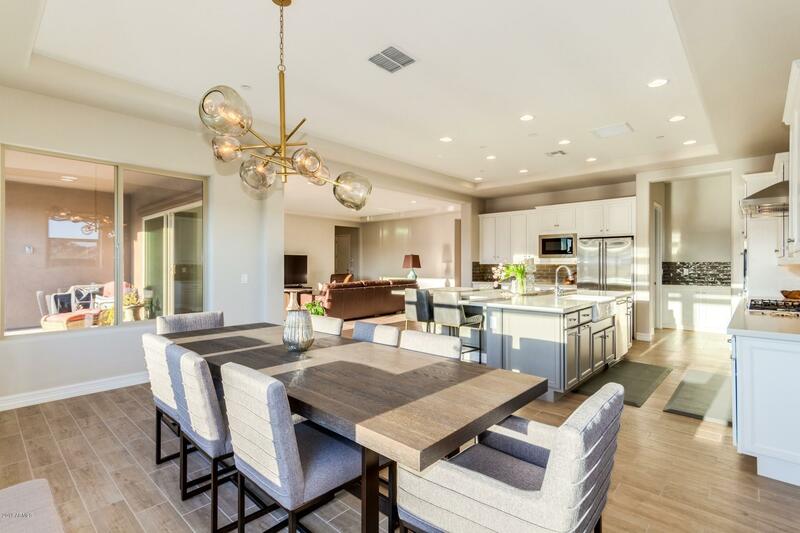 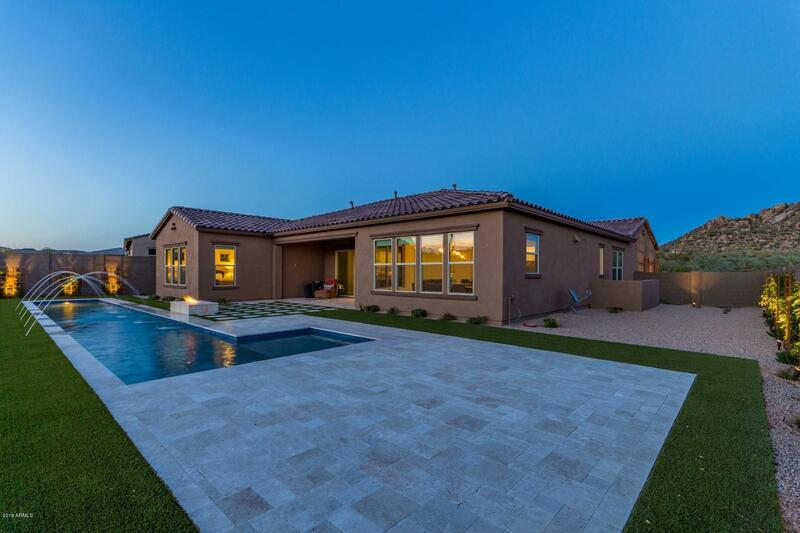 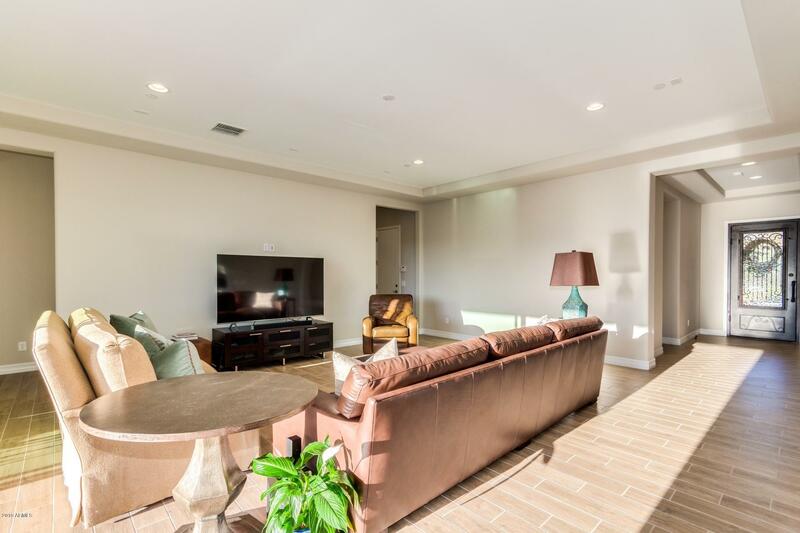 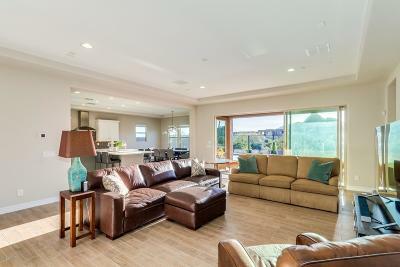 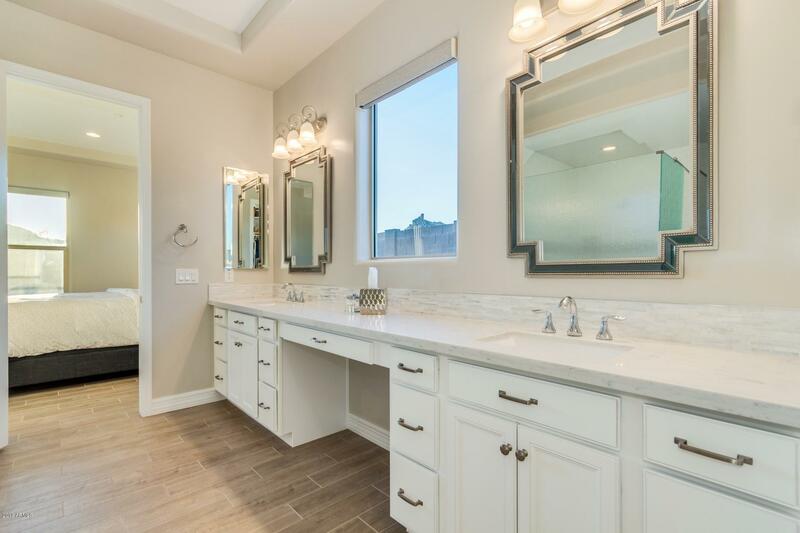 Completed and purchased in April 2018 -- and only occupied since September 2018 -- this home is pristine and a rarity in this historic area next to Troon, Troon North, and The Four Seasons Scottsdale. 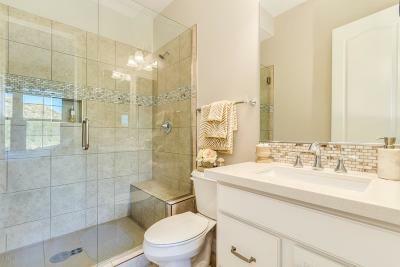 Once you see it, you won't want to leave! 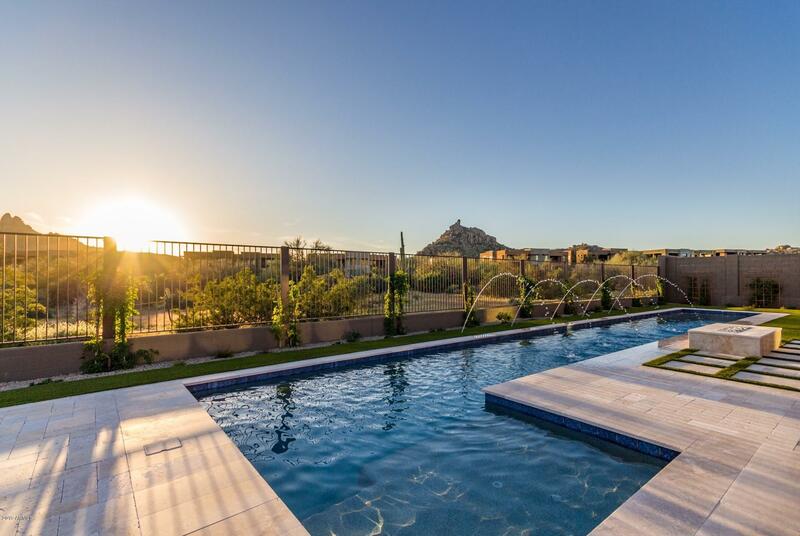 Put this home at the top of your list to see today.